Gophers are one of the worst rodents to deal with, and are also commonly referred to as pocket gophers to homeowners. 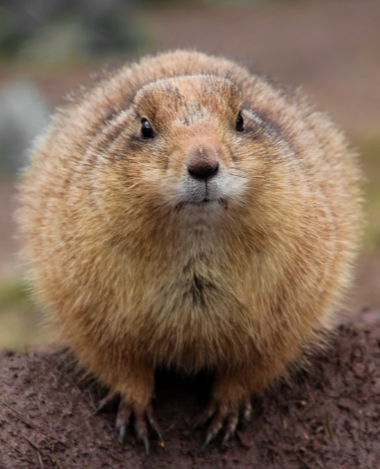 They are considered “pocket gophers” because they have a pocket that helps to transport food around. Gophers are known to be a mid-sized rodent with a range of different colors for skins and furs. Anything from black, brown, gray, or white can be seen on a gopher. Gophers are notorious for causing landscape and garden havoc. Many people have seen the famous movie, “Caddyshack.” In the movie you will see how gophers move and destroy land so easily. No one likes dealing with these elusive and destructive rodents. Creating gopher holes, burrows, and dens is their specialty, at the expense of a ruined yard. Gopher tunnels can vary greatly, anywhere from a few inches to a couple hundred feet per tunnel. The most active time for gophers to create networks is during the spring and fall, when the soil is perfect for creating elaborate tunnels. Along with destroying your lawn or garden with various different gopher subterranean networks, they have are constantly destroying plants. Plant roots, stems, weeds, peanuts, potatoes, and other vegetation related foods are apart of a gopher’s diet. To get through tunnels gophers create they must rip through vegetation roots, this is a problem if you're a serious gardener. There are several different animals that prey on gophers, to name a few of the many: weasels, foxes, skunks, wolves, bobcats, coyotes etc. Some birds like owls and hawks can prey on gophers when they come out of there protected tunnels. Many other rodent animals can be mistaken for gophers such as, moles, garden voles, squirrels, and groundhogs. Gopher reproduction may be different for other species, but generally speaking the springtime is when gopher offspring is born. Each gopher batch will have anywhere from three to five young babies. By the time the late summer/fall comes around the young gophers will be mature enough to leave their tunnel behind and start a new life. Gophers only live for a couple years, never past three years. Short lives are a common thing for gophers to deal with. The biggest indicator of a gopher problem or gopher infestation is when you see clear damage to the landscape of your property. When multiple gopher holes are created with distinct networks connecting something is wrong. The sight of one gopher may be enough to prove a gopher infestation is present. Dealing with a gopher family can be a stressful plan, especially since the rodents are able to escape below surface to their dens or burrows. Getting rid of gophers is possible with the right knowledge, experience, and technique. There are many techniques gopher control experts like to implement. As a homeowner you have to decide what the best way to kill gophers is. Professional gopher control companies can use gopher poison, gopher traps, gopher repellent, and gopher bait to exterminate the annoying rodents. Trapping gophers may the least lethal method, but doesn’t really get rid of the problem because the gophers are released back into the environment. One of the best ways to get rid of a gopher family is to simply fill up all the gopher holes with cement or barbed wire. If they have no way to run around from their tunnels they will leave.